Billions of people around the world still live without access to clean and safe water, causing harvests to fail, health problems for many, and leaving households and factories struggling to survive. As part of the UN Sustainable Development Goals , the UN addresses this water crisis with ‘World Water Day 2019’ on 22 March. Project groups from around the globe take part in this event by showcasing ideas on how to improve water resource management and increase awareness of this water issue. During our 50th anniversary celebrations in 2018, we invited students from all four IB programmes to join our #generationIB campaign to present their innovative ideas and solutions with the world. Students of all ages showcased their creativity and skills in working together to find solutions to some of our most pressing global issues – including the worldwide water crisis. In India, students from the Sreenidhi International School built a cost-effective water purifier. 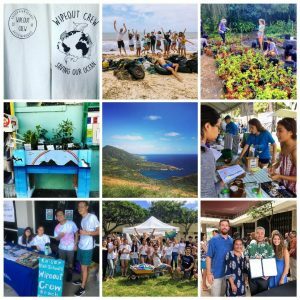 And in Hawaii, the Wipeout Crew from the Henry J. Kaiser High School took on coastal environmental challenges by organizing regular beach clean-ups amongst many other sustainable activities. Students of the Southville International School ran a campaign called Shades of Blue to raise awareness of plastic pollution and environmental conservation with a student pledge and a public art exhibition. But the IB community has not just proven dedicated to address this global issue during our #generationIB campaign – over the past years more and more IB students have shown great involvement with these matters and presented great achievements and inventions, tackling this issue. 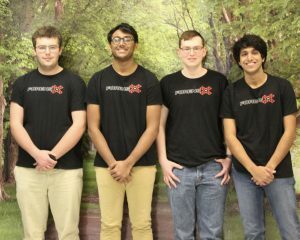 In Alabama, USA, four keen Diploma Programme (DP) candidates from Jefferson County International Baccalaureate School, created an award-winning app that can provide aid in the large-scale management of Tanzania’s water well infrastructure. Middle Years Programme (MYP) students of the École Mondiale World School in India turned an investigation to water access in their country to a Creativity, activity, service (CAS) project to provide water to migrant children in need. Primary Years Programme (PYP) students from Fagerhaug International School in Norway researched their responsibilities to share water as a resource with other living things, discussing the importance of recycling and responsible consumption as part of “reduce, reuse and recycle”. For #generationIB, Dame Ellen MacArthur spoke to us about circular economy and advised students on how they can prepare for a future as agents of change. She also set up a challenge for #environmentIB. The IB’s partnership with the Ellen MacArthur Foundation and the inclusion of circular economy in the IB curriculum is also a great step towards promoting sustainability.